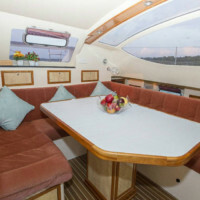 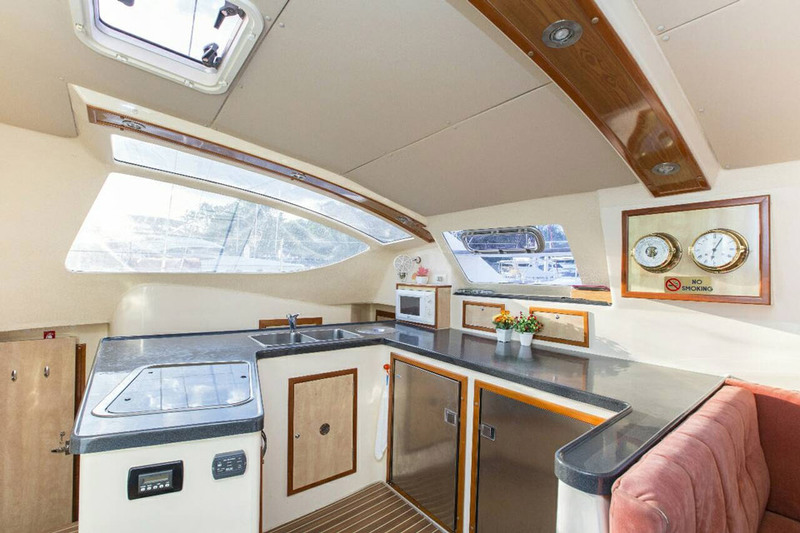 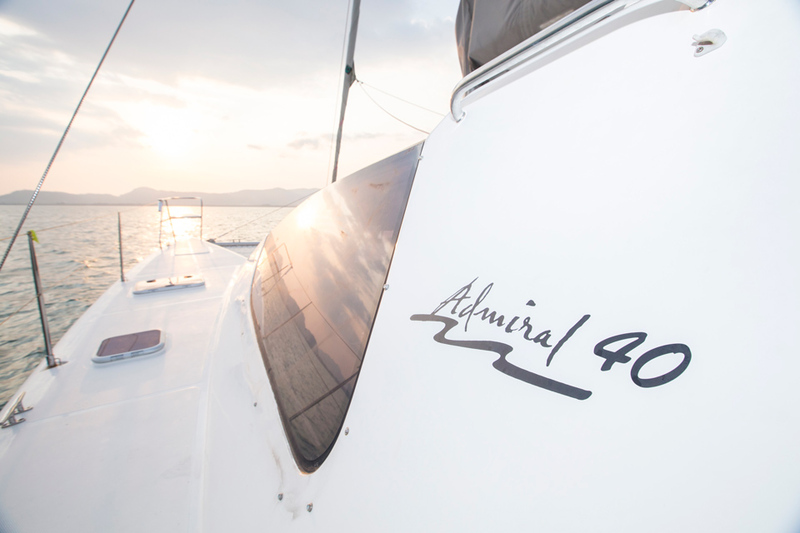 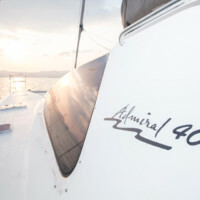 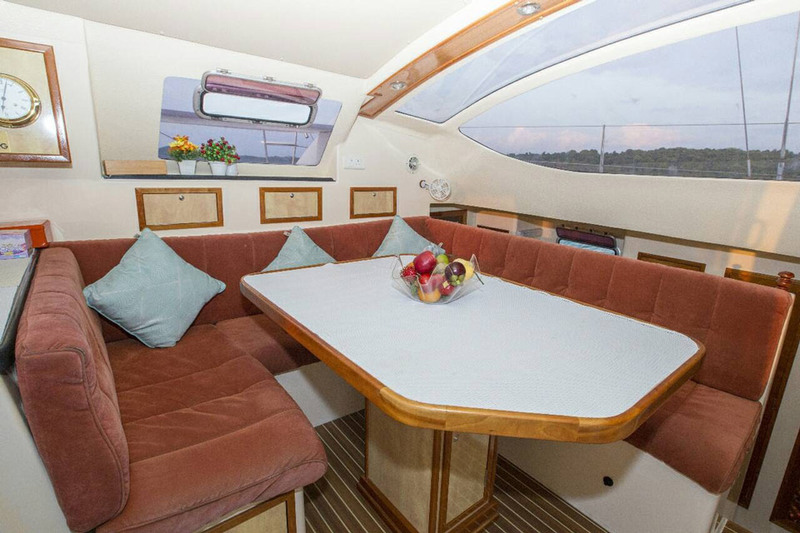 This Admiral 40 is available for private yacht charters in Phuket. 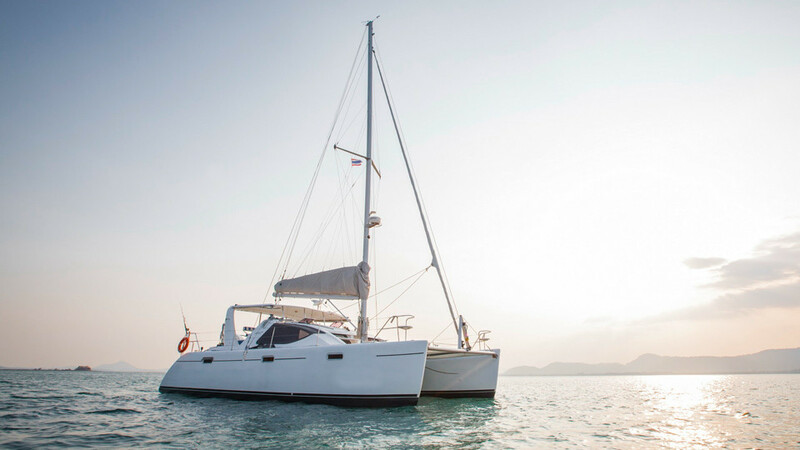 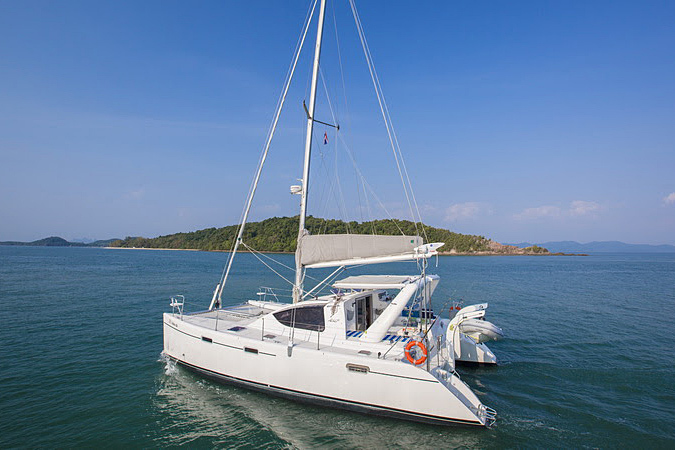 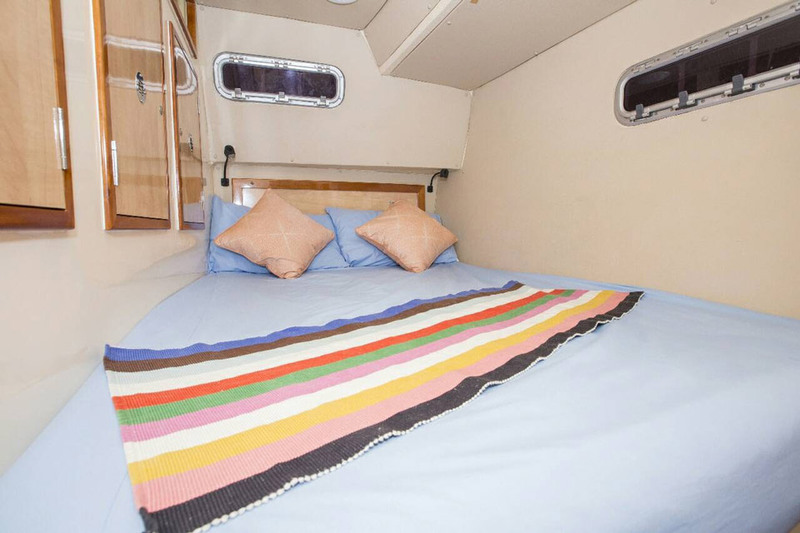 Boat Charter Phuket with Boat in the Bay: step aboard this cosy sailing catamaran to start your sea journey and explore the numerous beautiful islands of the Andaman Sea. 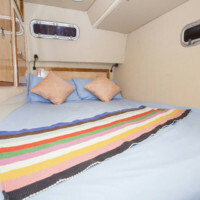 Make yourself comfortable at the bow area and enjoy the breeze. 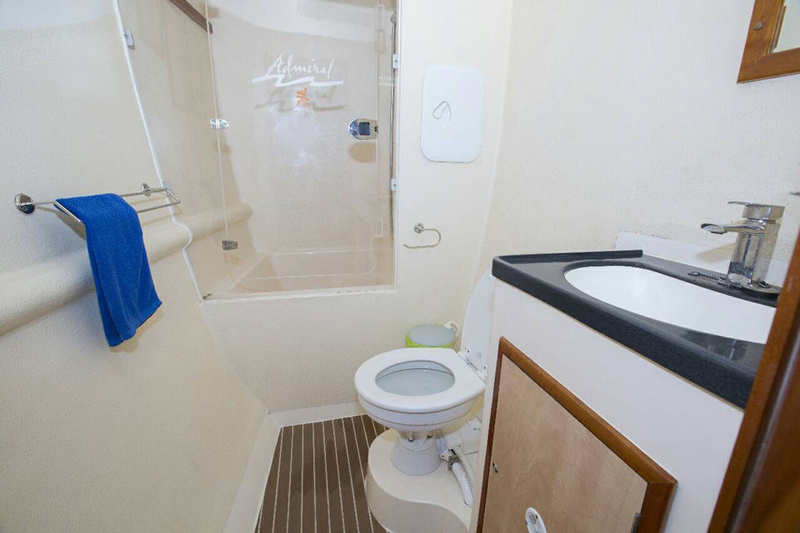 Onboard facilities include 2 cabins, 2 bathrooms, a music system and a fully-equipped galley for preparing first-class meals for up to 10 guests. 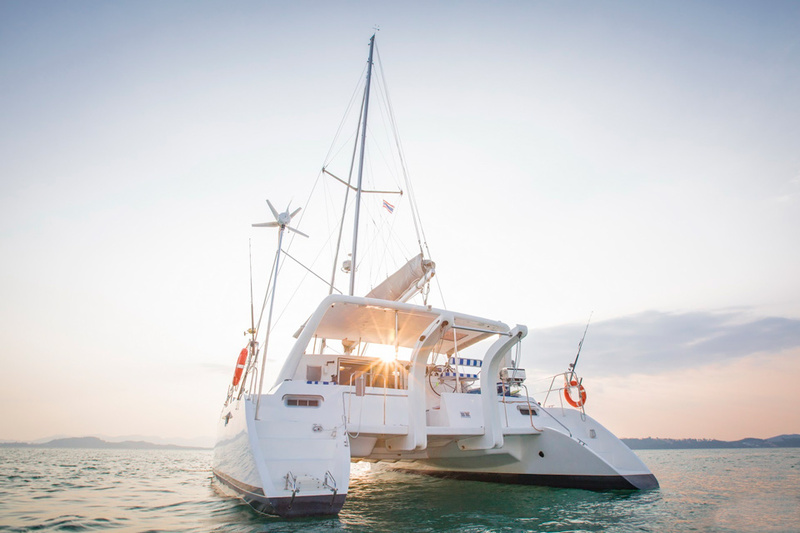 The catamaran also carries fishing and snorkeling equipment, as well as kayaks. 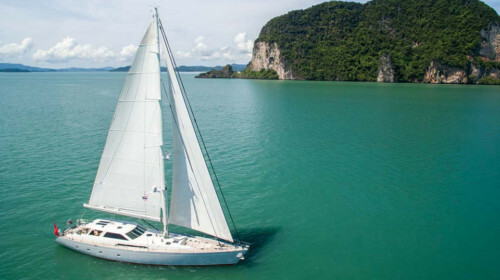 Head to the fascinating Phang Nga Bay, the limestone kingdom of Thailand, to see the rocky scenery followed by a guided canoe tour exploring the secret caves and lagoons. 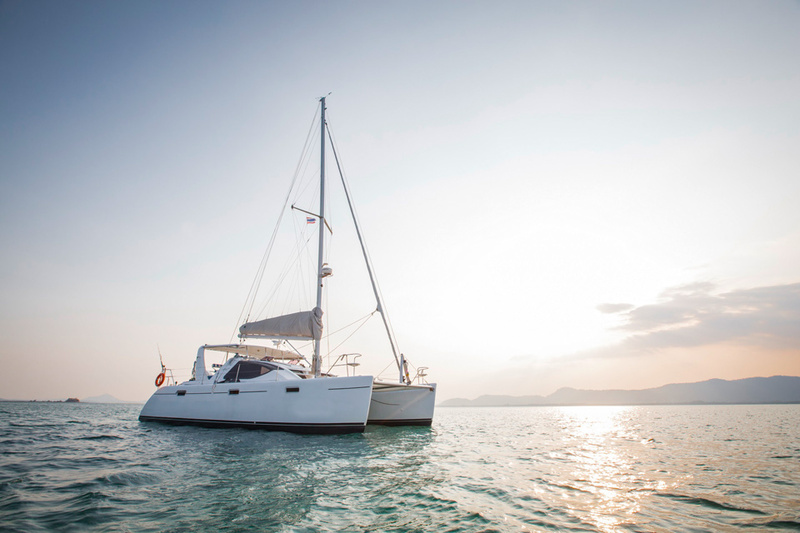 Make sure to make a selfie with the famous James Bond Island in the background. 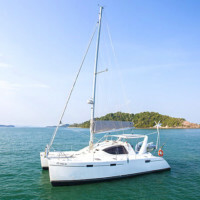 Of course, a beautiful beach with a nice swim and a bit of fishing is on the itinerary too. 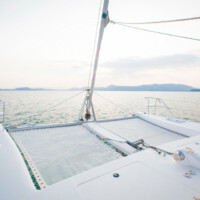 Or go south to visit the islands of Khai and Naka. 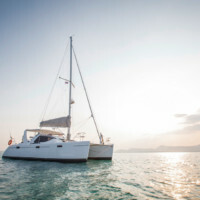 Enjoy snorkeling with a colourful fish, try a real bottom fishing, relax on a white sand beach. 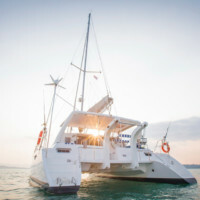 This is also a good itinerary if you are looking for some extra entertainment like jetski, banana boat etc. 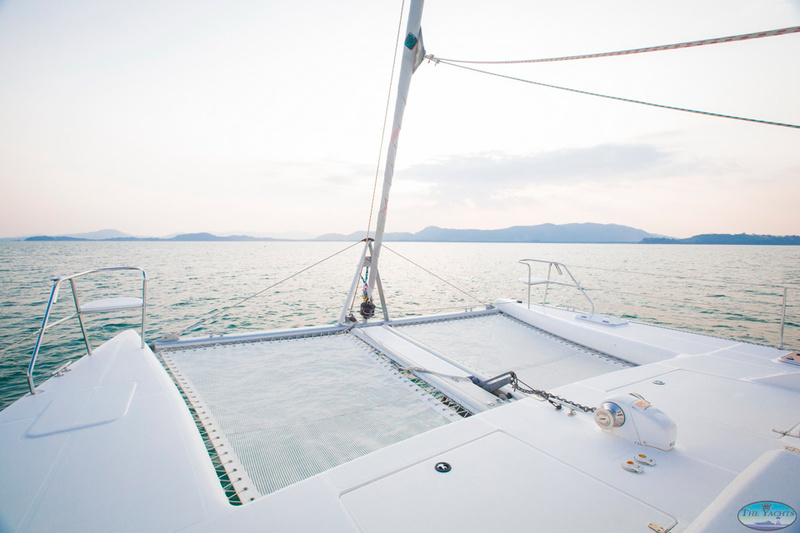 We can stop at one of the islands with all these activities offered ashore. 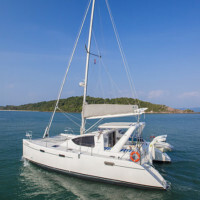 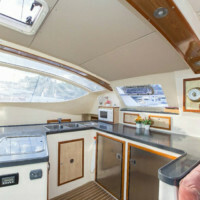 Contact Boat in the Bay today for charter inquiries on this Admiral 40 and other boat charter options in Phuket. 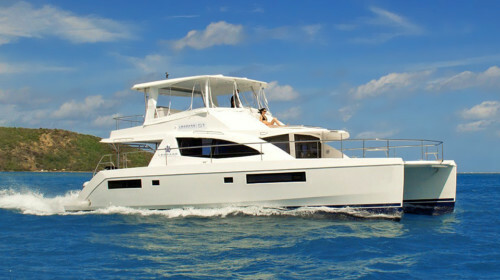 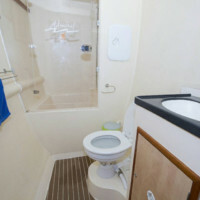 Day charter rate is given for 6 guests. 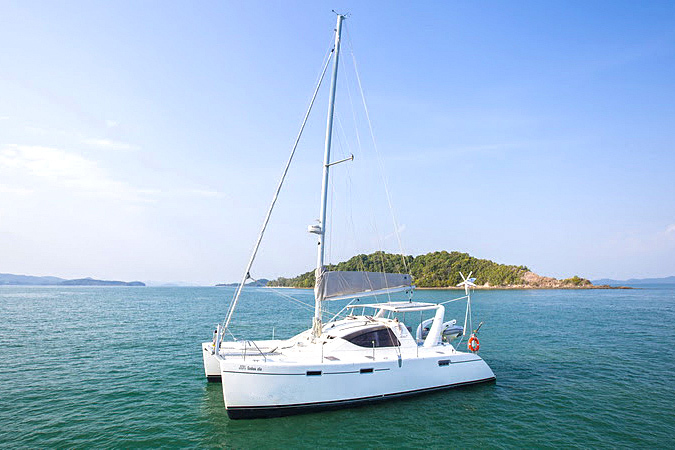 Catering surcharge for a day charter above 6 guests – 1.500 THB per guest.